Our favorite toy of the year so far is Shopkins by Moose Toys. They also won the 2015 Girls Toy of the Year award at the TIA awards in New York. 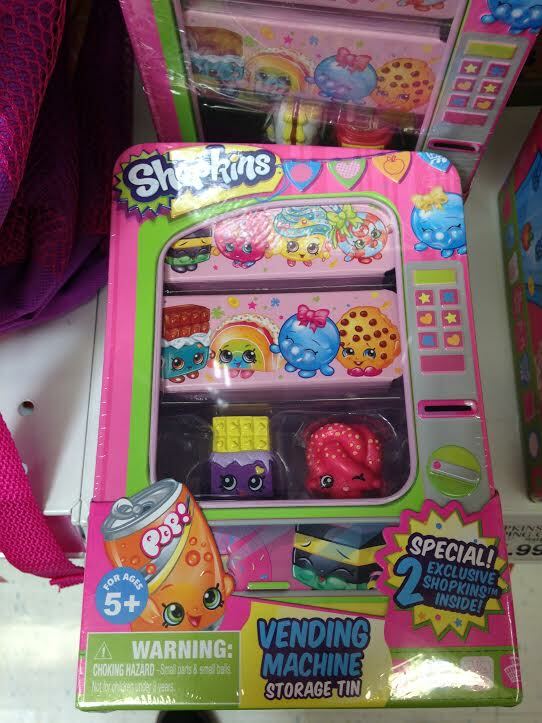 We are currently collecting Season 2 Shopkins toys and the Vending Machine Storage Tins are totally awesome! There’s a few different ones to choose from and they have 2 exclusive Shopkins inside. Welcome to ToyHunts.com! We are always on toy hunts and decided it’s time to start taking pictures and videos of them. Watch us as we scour the neighborhood looking for the new popular toys. We will be posting some of our favorites along with some classic toys, figurines, board games, and anything else really fun to play with.